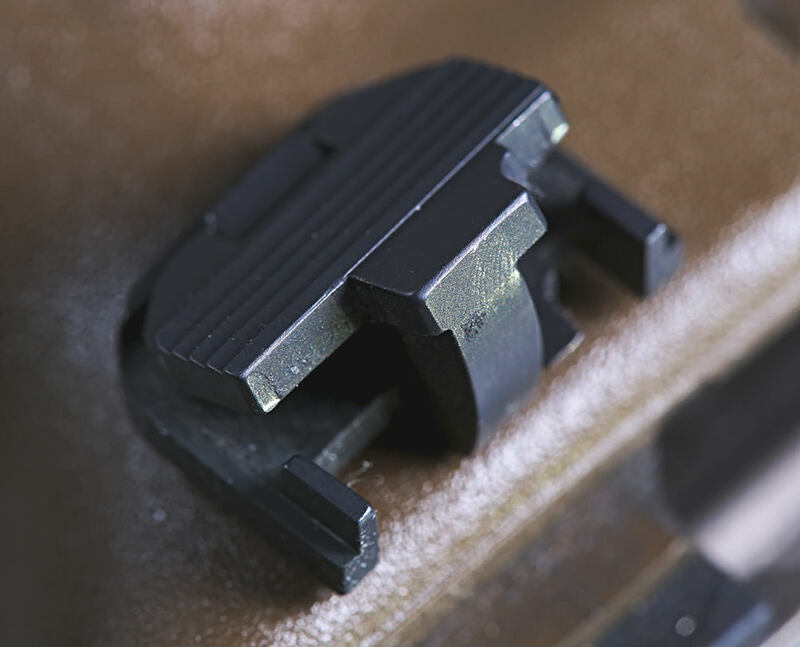 According to Taudevgroup, "The Striker Control Device (SCD) replaces the slide cover plate on your Glock pistol. 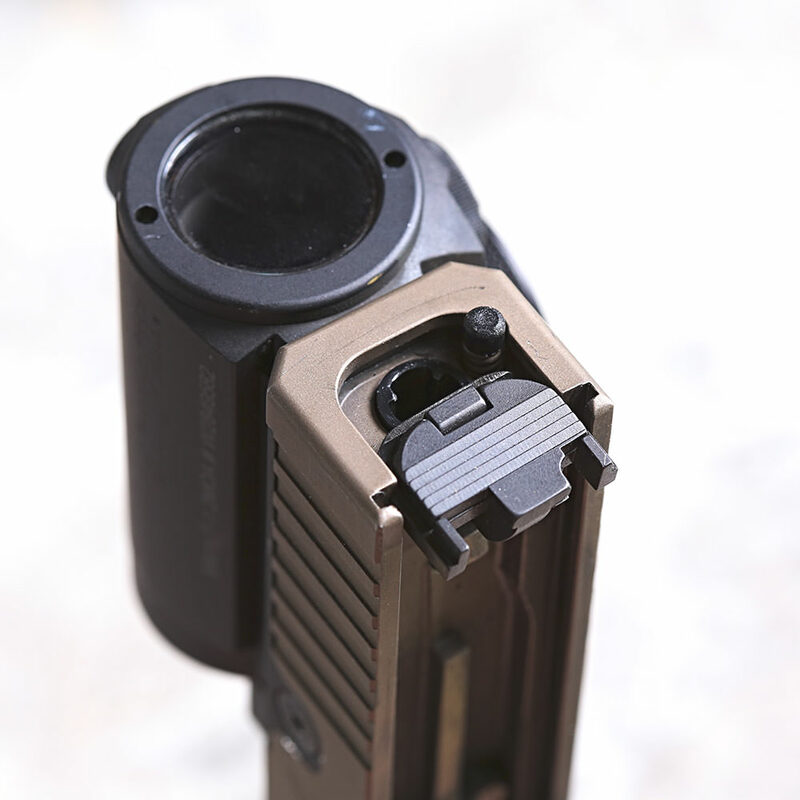 When thumb pressure is applied to the SCD it blocks the rearward motion of the striker, which blocks movement of the trigger bar and prevents the trigger from moving. The SCD is completely passive. It does not lock or otherwise interfere with the normal operation of the pistol unless physical force is being purposely applied by the user. When using any normal firing grip, the SCD is not engaged and your pistol fires as usual with no additional steps needed. The SCD was inspired by standard procedures for double action hammer fired guns. Users are taught to keep pressure on the hammer while holstering. In doing so, trigger motion is blocked and the gun is prevented from firing in the event that something (finger, shirt, thumb break, jacket drawstring, etc.) finds its way into the trigger guard. The SCD provides this same capability for Glock pistols. 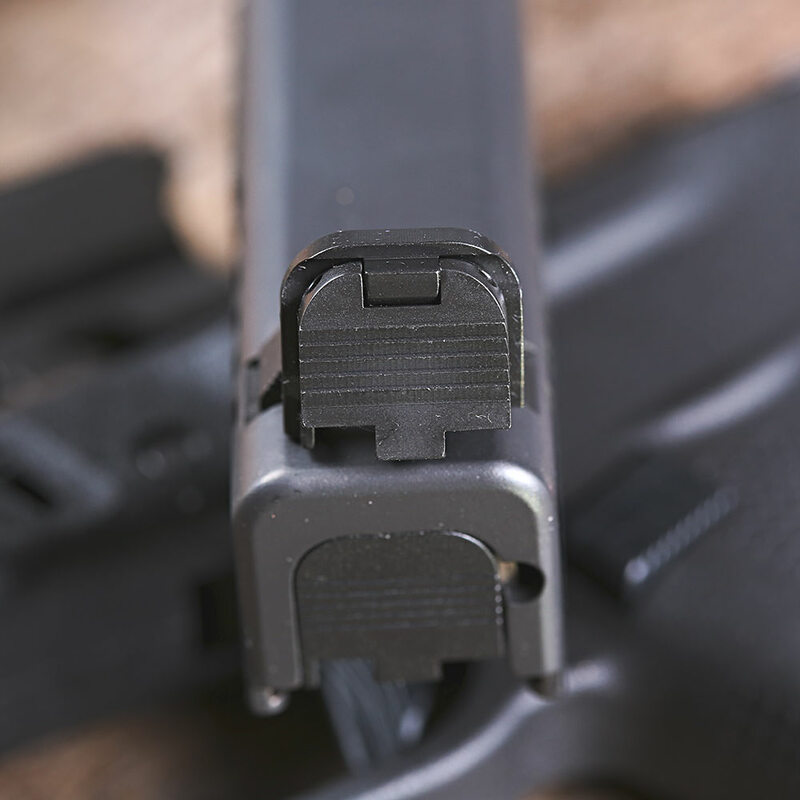 The SCD provides an extra layer of safety when holstering. It does NOT replace awareness and safe gun handling. 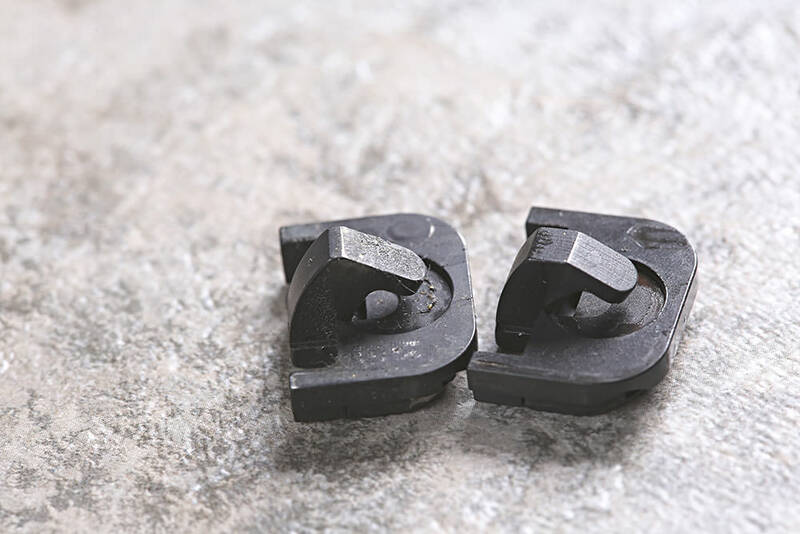 It creates an additional layer of safety to help avoid accidents. ALWAYS follow the four cardinal rules of firearms safety." and that "The SCD is CNC machined from 17-4PH stainless steel, has a black oxide finish, and is proudly made in the United States." I purchased several SCD's when they became available for purchase at around 12/16. Since then I was sent the Reduced Pre-Travel SCD, as well as the new Gen5 SCD and the Glock G43 SCD for review. The SCD retails for around $79 plus shipping, which is an absolute steal as far as I am concerned. You can buy it directly from Taudevgroup. I carry AIWB off duty, I also exclusively carry Glock pistols. Not because they are perfection incarnate but because they are the best system for me, or so I thought until I learned about the gadget in early 2016. 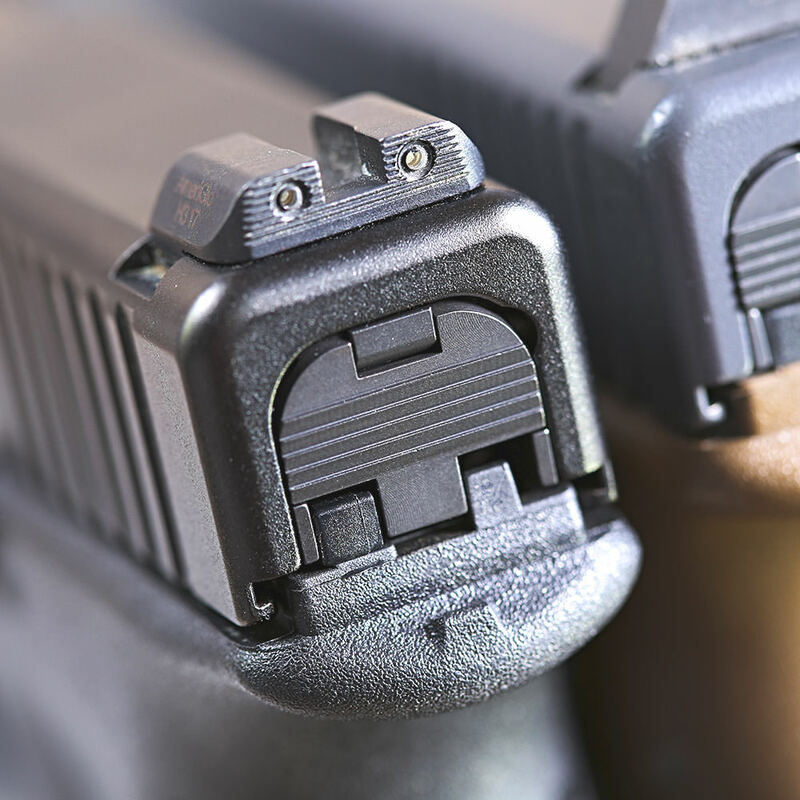 I knew immediately that an addition to a Glock pistol which would allow confident reholstering without looking directly into the holster was developed around the mindset of real world application. I wanted to be part of the initial test group but, unfortunately, all those spots were filled with competent shooters and pistol practitioners. So when the SCD became available for the the Gen4 and was backwards compatible with every previous generation, I knew I had to jump on it. At the time when the SCD came in, late December of 2016, I was still carrying a Glock 19 Gen4 which was having issues, so I quickly swapped it over to a brand new Glock 19 Gen3 FDE, I have been carrying the same SCD in that gun up until the last few weeks when I have been transitioning over the Glock 19 Gen5, this is because the SCD which is compatible with the Gen5 Glocks was released. This is an awesome development as I like the Gen5 and want to put as much time on it as possible. Carrying the Gen5 without an SCD was something I did not want to do. The first thing I did when I got my SCD in the mail in 12/16 is to install it into my Glock 19, push on the rear of the Glock with my thumb and try to push the trigger to make it go off. I could not get it to go off. 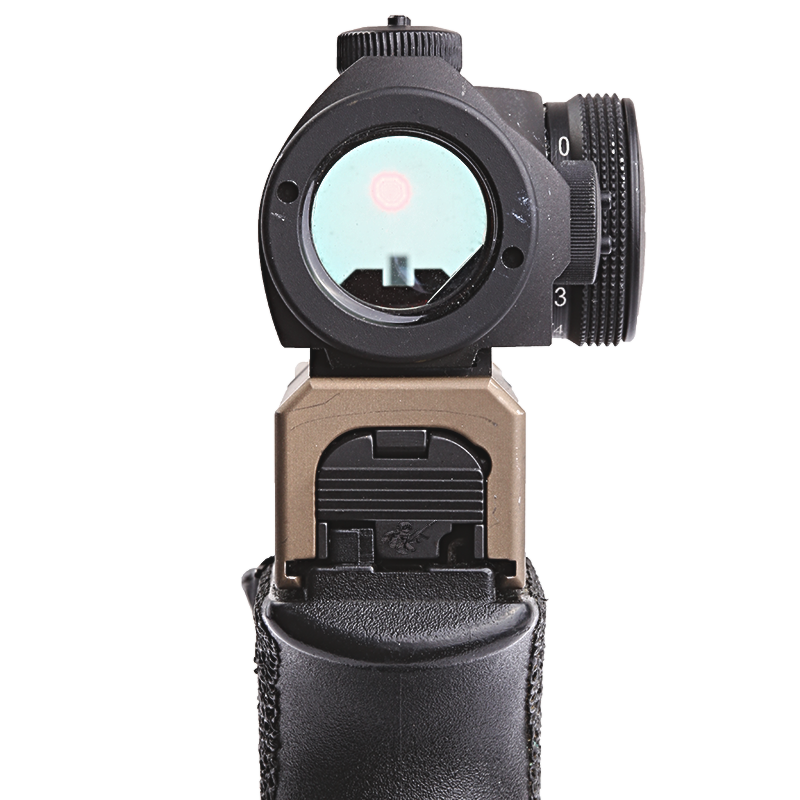 I did a few dry fire repetitions focusing directly on the SCD and the SCD functioned as designed, it would move backwards towards my face when the trigger is prepped and when the firing pin went forward it went back to a standard flush mode. The install was extremely simple but I have heard that people have had issues with it. Below photos are of the Glock 43 SCD being installed, it is the same exact process to install the SCD on any other Glock pistol. 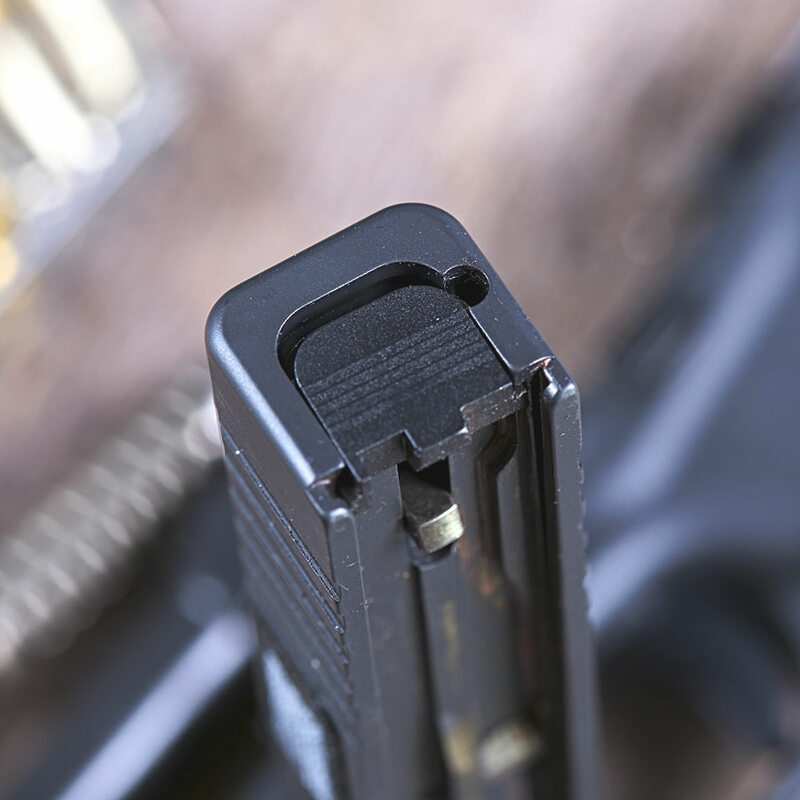 Take a Glock Tool , or appropriately sized metal punch , and push down (towards the front of the slide) on the plastic spacer sleeve directly underneath the firing pin. 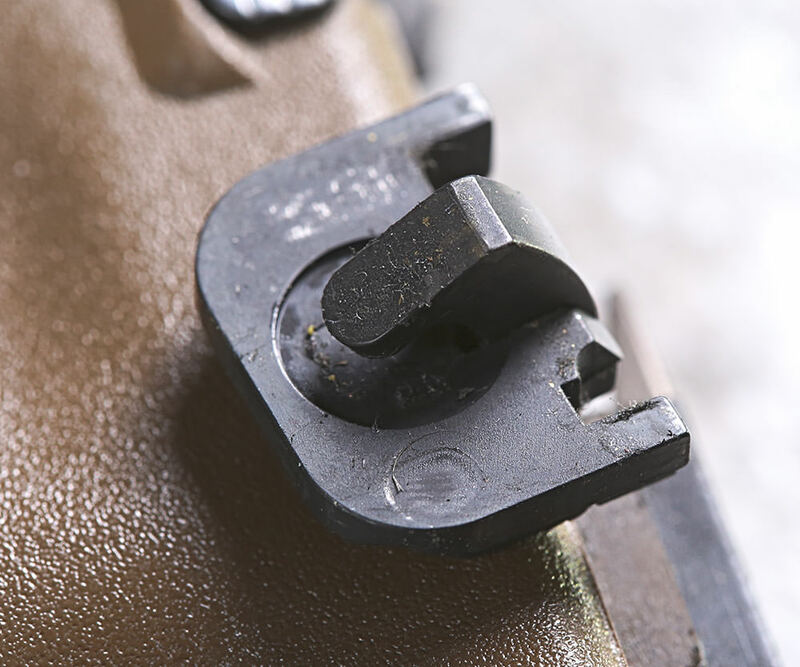 As you are pushing that down, with your thumb push the OEM backplate downward (away from the rear sight). If that does not work, use another small punch or something you can push down on it with. I am able to do it with just my thumb and a little bit of pressure, no reason you cannot do the same. This is what it will look like after you successfully push the OEM backplate down. When you go to remove the OEM backplate, put your other thumb, or something else, over the space behind the slide. There are internals under spring tension which may possibly pop out. Once that OEM backplate is out, you can install the SCD. 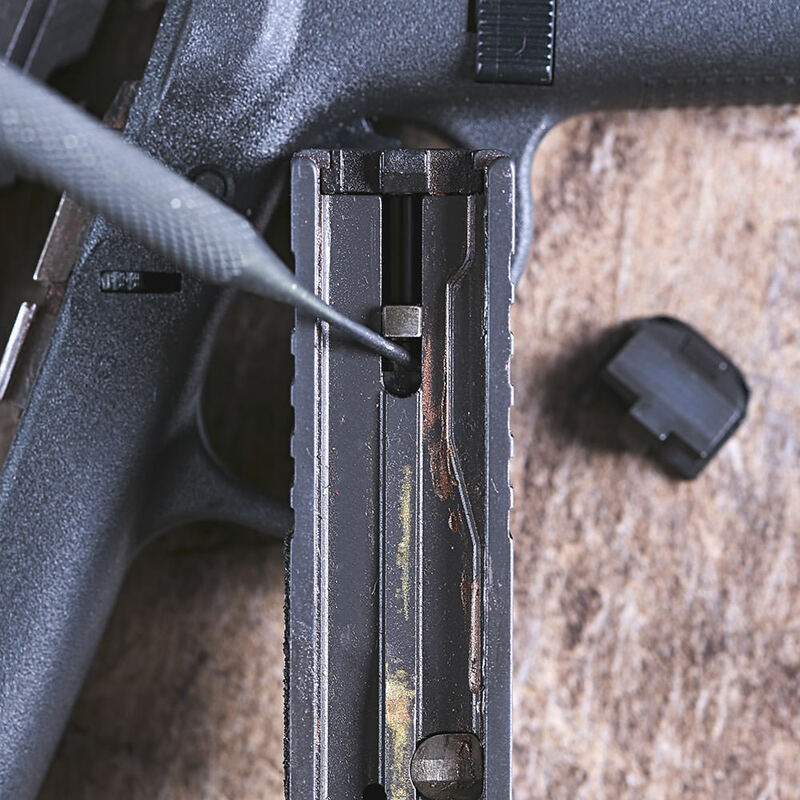 You will need to use that Glock tool or punch to push the plastic spacer sleeve forward to push the SCD into place, then use the same tool or punch to push the top of the spring loaded bearing as you push the SCD into place upward (toward the rear sight). It has to click. 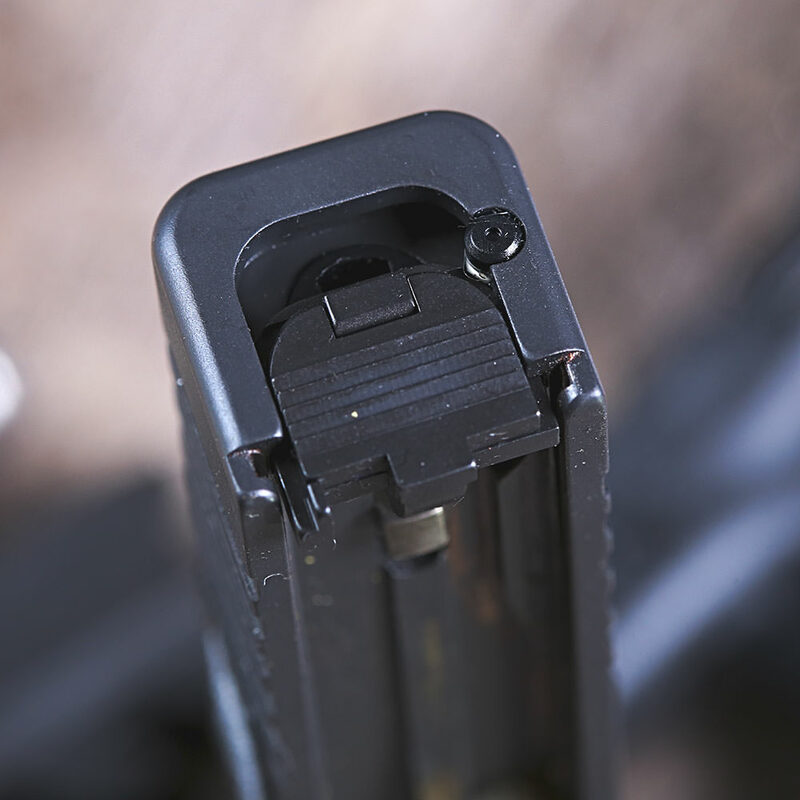 Once it does, try to push the SCD off the back of the slide downward (away from the rear sight). If it does then it was not installed properly. It should not come off without the plastic spacer being pushed down at the same time. It would take more pressure than an average person could exert from their thumbs to push it off the back of the slide if it installed properly. Final result on a Glock 43. Again, it is the same exact process on any other Glock. I hit the range and ran some drills to make sure it worked fine before carrying it. I put about 300 rounds through my carry gun and another 150 through the other SCD on another gun I carried sometimes for testing purposes at that time. Once I figured out that the SCD's worked fine, I started to carry AIWB with them. I am a huge fan of logically developed tools. I will always try to see the logic someone else may have considered in their development while I evaluate an item. The SCD allows me to have a tactile feel while reholstering to indicate if something is caught on my trigger. 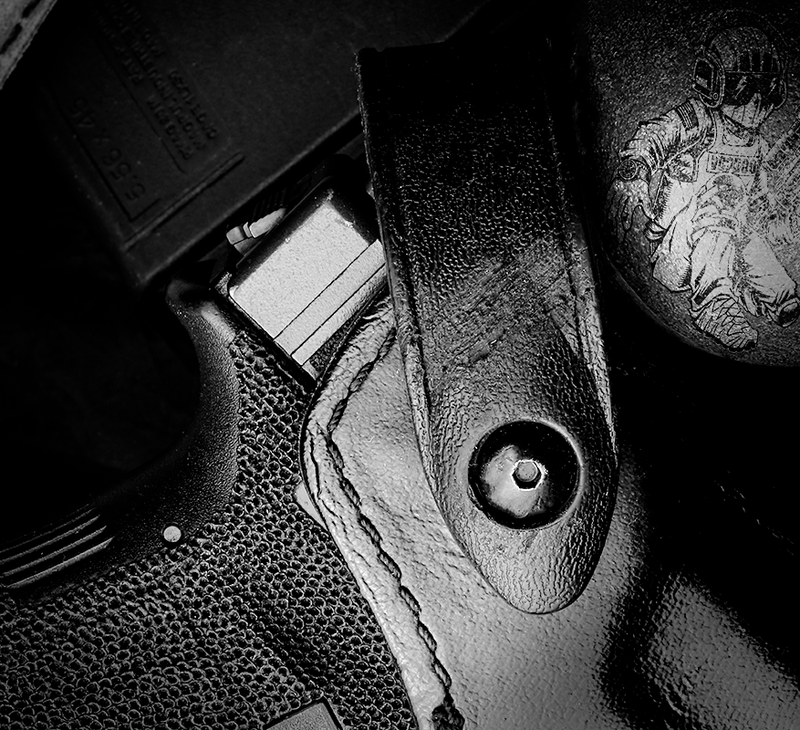 Looking into the holster while you reholster is the wrong move, logically, as there may still be threats which you need to be on the look out for. This allows you to make two significant actions at once, look around as well as reholster your pistol. Reholstering should be slowly, but subconsciously, done. Looking around has to be deliberate, remember ISIS is always plotting. 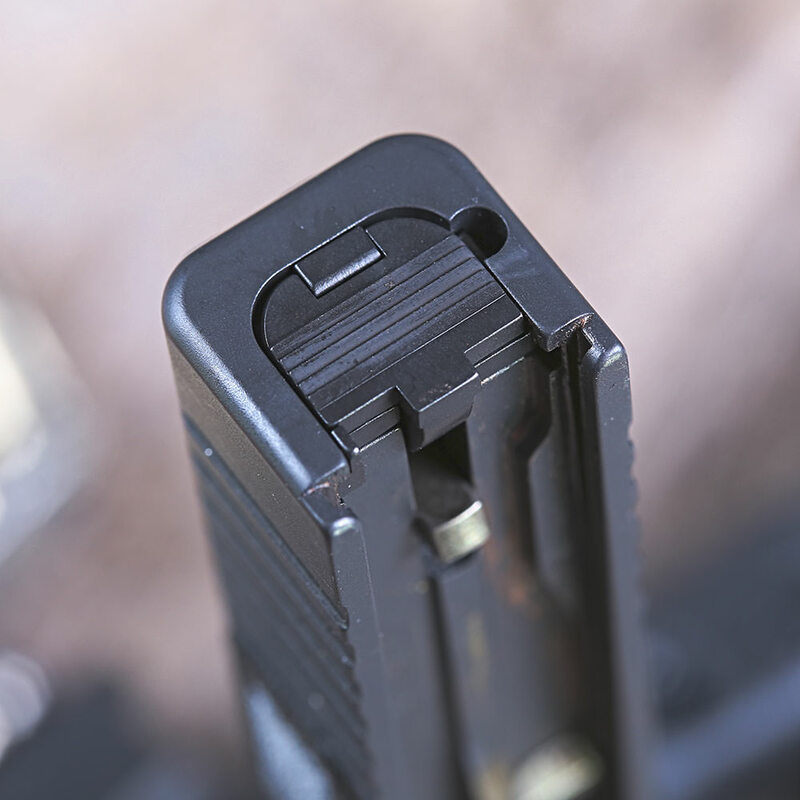 The SCD also allows you to have positive control over your pistol's ability to discharge even if you are not in actual physical control of the trigger. This is super important as rendering a pistol inoperable simply by holding it a specific way (by putting pressure on the backplate) and may provide for a moment of confusion needed in order to affect the situation positively in your favor. I have had SCD's attached to every gun I have carried and/or trained with since receiving them. I would say that my primary SCD has seen just over 20k rounds and I could not in any way attribute any issues I have had to it. In fact I have had no issues with my Glock 19.3 so that is even more of an indication, in my opinion, of how well the SCD functions. I have had two instances where I felt the SCD push against my thumb during reholstering, both were during combatives training and during physical confrontations where my clothing (t-shirts) was pushed into the holster due to physical contact. Both times the SCD did its job. I tested the SCD during training several times in "fight over the gun" type of scenarios and each time as long as I did not release pressure from the backplate the pistol became incapable of discharging. In one training scenario which started off on the ground, I was the aggressor, and gave my pistol to the person I was attempting to disarm, even though I knew that the SCD was present on that pistol, I could not effectively gain positive control over the pistol and the person I was attempting to disarm was able to deploy a blade in the time he was defending against the disarm. The goal was to disarm the other person, nothing else (hence why I did not deploy a blade). I can say that the SCD works on aftermarket slides as well. 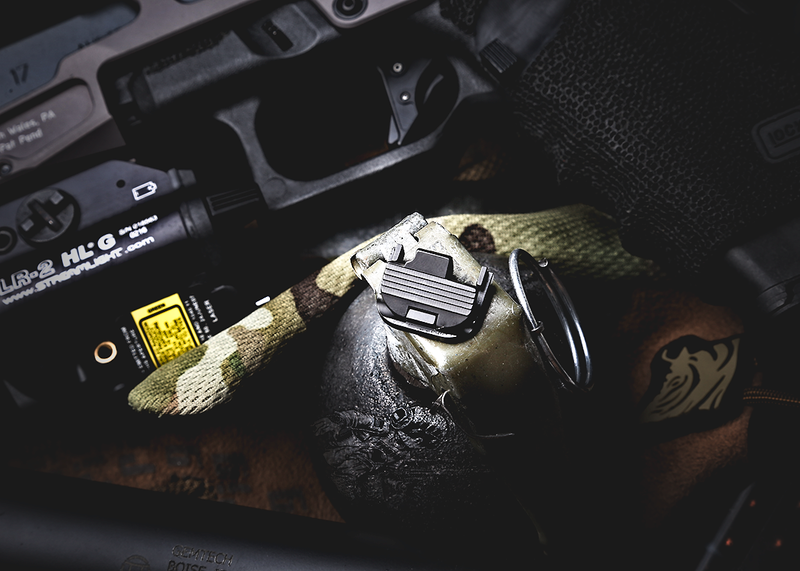 It fits and functions perfectly in the Unity Tactical ATOM slide. I also installed an Overwatch Precision TAC Trigger into the frame and that means I needed a Reduced Pre-Travel SCD due to the reduced distance the trigger travels in order to discharge the pistol. This setup functions without any issues and works the same exact way as the standard SCD. I have put about 5k rounds through the gun with the reduced pre-travel SCD installed with the Overwatch Precision TAC trigger. I have not tried it with any other aftermarket trigger system, nor would I suggest in doing so, even with the reduced pre-travel SCD. Overly light triggers will probably still discharge even with the reduced pre-travel SCD, rendering it ineffective. One thing I have heard people say is that it will distract you when you are shooting the pistol. I do not know about anyone else, but I do not hard focus on the backplate of my gun when I am shooting a pistol. I focus on the front sight post or the red dot/optic on the pistol. Can you see it move (sometimes) in your peripheral vision? Probably, will it ever effect you or your shooting? Only if you start to focus on it, which you should not, because you are focusing on other things! This is a nonsensical consideration untrained people have of something they do not understand or have any experience with. I have said this before and I will probably continue to say it until Glock finally does it, the Striker Control Device needs to be an OEM part of the Glock pistol. 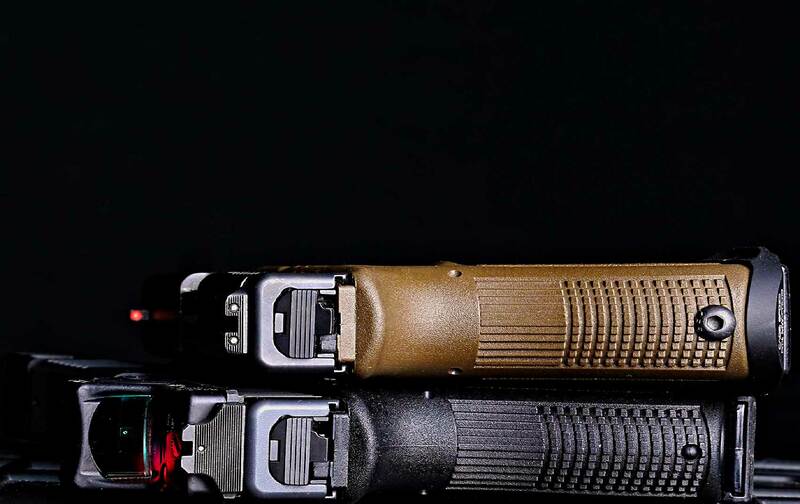 Every single Glock pistol should come with one from the factory. This is exactly what was missing from the system when it was originally designed and having carried both a Glock with an SCD (off duty) and a Glock without an SCD (duty gun) I can tell you that I have great piece of mind with my SCD equipped pistol. I am not allowed by policy to install an SCD to my duty pistol, stupid and shortsighted, I agree. If I had the ability to do I would carry on duty with the SCD. In fact if I would wager a hefty steak dinner that if officers were trained on it and how to properly use it in the field, they would also want to carry an SCD as well. 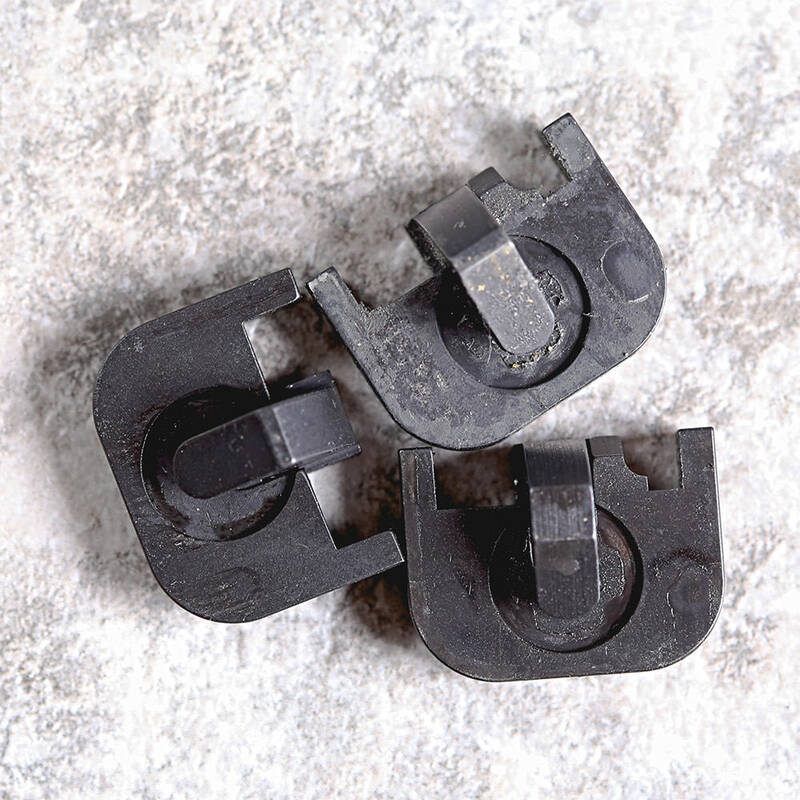 As the description states it provides an additional layer of safety, and it does that very well and beyond anything the OEM backplate can ever accomplish. Now that the Gen5 SCD has come out (on the left) it will begin to get a lot of use. As you can see by the condition of the top right SCD, which I have carried daily for over a year, there is only dirt which comes off very easily (bottom right was reduced pre-travel was cleaned prior to that photo) and maintains its overall functionality and condition. If you have a Glock pistol which you carry and are even remotely concerned about "the lack of safety" which is really a joke in and of itself, as it applies to competence of skill and not the pistol itself (software, not hardware), you should pick one up. 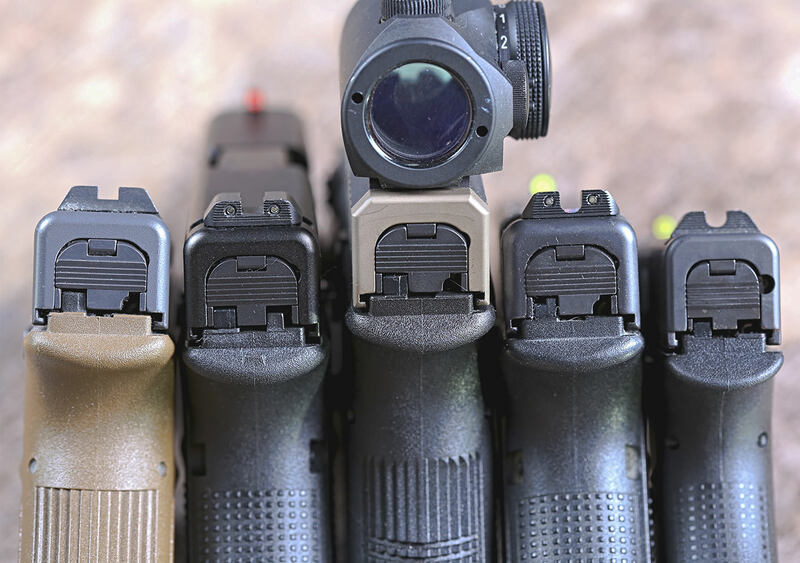 If you are a competent Glock shooter then you probably already have one, or three. 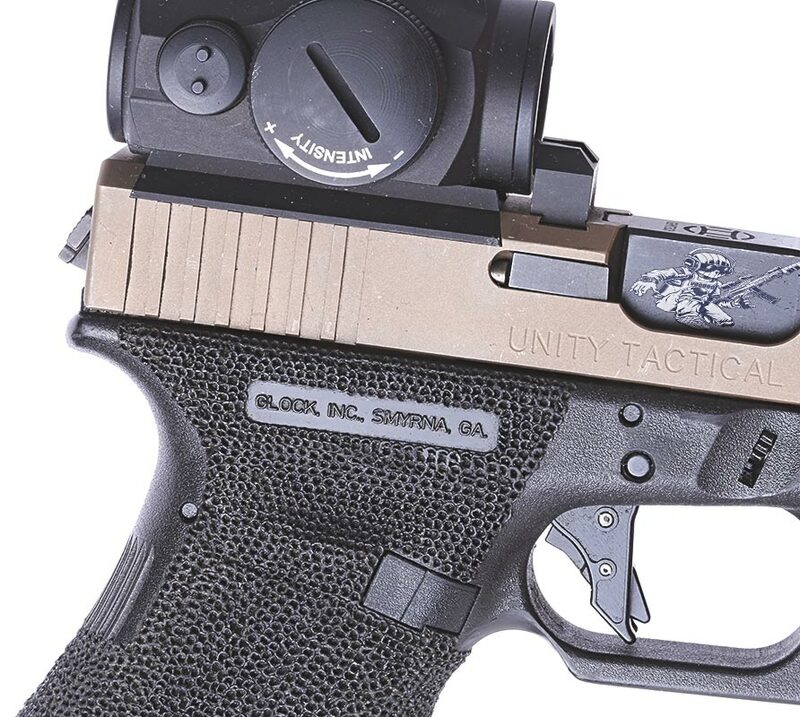 This is the logical progression to the overall functionality of the Glock pistol system.